Come and discover with us the Madrid Highlights by bus, from the old Habsburg and Bourbons quarters to the present modern city. 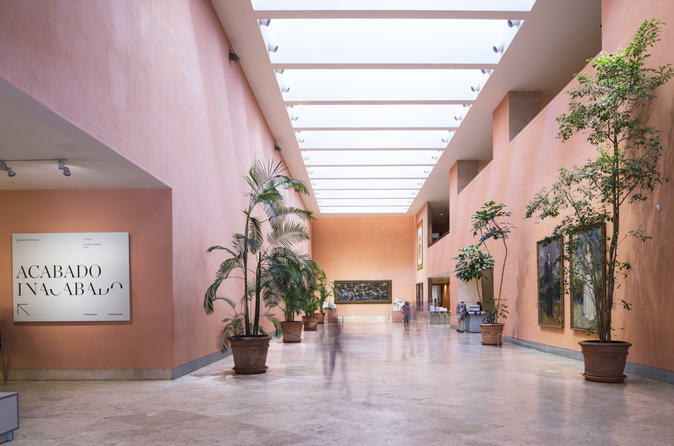 Get the perfect match for your Madrid city tour, including a “fast lane ticket” to visit on your own one of the most important galleries in the city, The Thyssen-Bornemisza Museum. Discover Madrid on this 2,5-hour sightseeing tour, get to know the main monuments and its history, from the old Habsburg and Bourbons quarters to the present modern city. During this tour, you will see places such as the Gran Vía, Plaza de España, University, Moncloa, Calle Mayor, Puerta del Sol, Puerta de Alcalá, the bullring, Columbus square, Paseo de la Castellana and the Real Madrid stadium Santiago Bernabéu, Plaza Castilla, fountain of Cibeles. Once the sightseeing bus tour is over you will be transferred to Thyssen-Bornemisza Museum, or simply the Thyssen. It is known as part of the "Golden Triangle of Art", which also includes the Prado and the Reina Sofia national galleries. The Thyssen fills the historical gaps in its counterparts' collections: in the Prado's case this includes Italian primitives and works from the English, Dutch and German schools, while in the case of the Reina Sofia it concerns Impressionists, Expressionists, and European and American paintings from the second half of the 20th century. With over 1,600 paintings, it was once the second largest private collection in the world after the British Royal Collection.